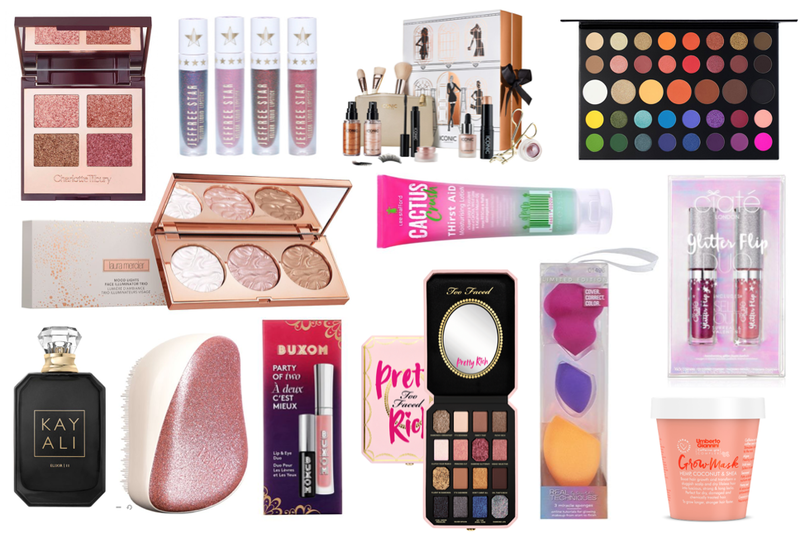 I haven't found too many beauty launches that I have excited me a great deal this month but these are some products that I have been obsessing over. A few are very hyped at the moment and many of them are from brands that I am yet to try so hopefully I will be able to before the year is out. Charlotte Tilbury Palette of Pops £39 - Two shade options available, I adore the look of the warm toned one. Jeffree Star Holiday Liquid Lipsticks £16 - I adore the packaging of this collection. While the Alien palette isn't something I would use, the rest of the collection has really caught my attention. Iconic London Advent Calendar £120 - Get ready to glow for 12 days of Christmas! James Charles x Morphe Palette £39 - This isn't a palette that I am personally that interested in but if you love colour then this is for you! Laura Mercier Christmas Collection - Includes a selection of bath and body gift sets as well as some makeup items too. Lee Stafford Cactus Crush Thirst Aid £7.99 - Having tried a few of the products from this range already, I am so excited about this newbie. Kayali Perfume £84 - From the team behind Huda Beauty and there are four different scents. Rose Gold Compact Tangle Teezer £13.50 - A perfect handbag size brush. Buxom Party of Two £11 - Comes with a lip gloss and mascara. Too Faced Pretty Rich Palette £39 - In the same stunning packaging as the Diamond Light Highlighter. Launching very soon. Real Techniques Sponge Trio £7.45 - All the sponges you could ever need! Ciate Glitter Lip Mini Duo £14 - Includes two mini sizes of the hyped lip products. Umberto Giannini Grow Long Range - I will have a review up on this collection very soon.